Bournemouth Hospital Charity’s Twilight Walk takes place on Friday19 May at Bournemouth Pier Approach. Participants can choose 1km, 5km or 10km along Bournemouth beachfront. 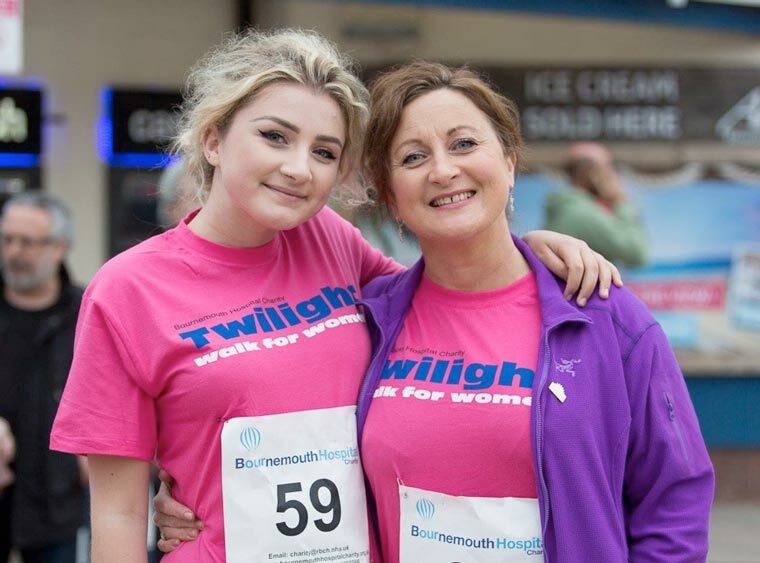 Twilight Walk for Women has helped to support the many thousands of women who are treated at the Royal Bournemouth Hospital each year. Since the inaugural event in 2012, Twilight has raised tens of thousands of pounds. Most recently, the event has enabled the Hospital to acquire a Myosure device to help consultants investigate possible early signs of cancer in the womb. This year, the organisers are aiming to raise funds to help purchase additional equipment and facilities to enhance patient care and make treatment more comfortable. This includes a new scanner to help detect endometrial cancer; a HCG analyser to help consultants detect specific hormones in the body; a water cooler and coffee machine in the Women’s Health Unit; and headphones for patient use during therapeutic procedures. Rachana Dwivedi, Women’s Health Consultant at the Royal Bournemouth Hospital, says that a new ultrasound scanner will help her team to treat patients more efficiently. “Over 1,000 women receive scans each year at the Royal Bournemouth Hospital and this new scanner, situated in our Jigsaw Building, will allow our consultants to examine patients presenting with postmenopausal uterine bleeding more clearly than before,” Rachana says. Twilight Walk for Women has been designed to be accessible to all, no matter of age or ability and will include husbands, brothers, uncles and friends. Anyone wanting to sign up can do so at BHCharity.org/twilight/, by visiting the Charity Office in the Royal Bournemouth Hospital or by calling 01202 704060.